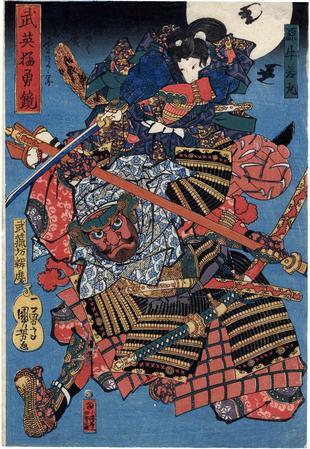 Minamoto no Ushiwaka Maru and Musashi-bo Benkei in combat on Gojō Bridge, bats flying across a full moon seen behind them in the upper right corner. Ex. C. H. Mitchell and B. W. Robinson collections.